Are you allergic to pets? What about your clients? It may be difficult to tell if pets were living in a house. There may be no odor and the house is spotless. However, dander (dead skin) can be present in the carpet, curtains, ducts, and under appliances, if pets were ever living in a house even years ago. If you need to know about allergens, we can help. Consider getting air samples performed in addition to your home inspection. The same lab that analyzes our mold samples can analyze air samples and tell you about all the particulates in the air that you and your family will be breathing. Cats and dogs produce allergens that pose a health threat to certain individuals. Pet dander consists of microscopic pieces of cat skin that have dried, flaked off and become airborne. Shed dander can land on and stick to bedding, curtains, carpeting, and other surfaces, including people’s skin and clothing. It contains Fel D1, a glycoprotein found in the cat’s sebaceous glands, located under their skin, and, to a lesser extent, it is found in cats’ saliva and urine. Fel D1 can cause rapid allergic reactions in sensitive individuals. Unlike cats, the dogs’ allergen, Can F1, is found in higher concentrations in their saliva than in their sebaceous glands. Animal hair, despite popular belief, is not considered to be a significant allergen. However, hair can collect pollen, dust, mold, and other allergens. There are no “non-allergenic” breeds of dogs or cats. 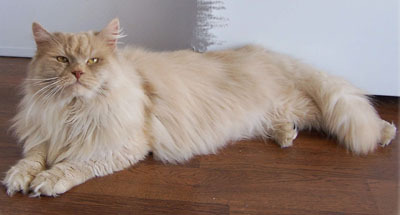 Some breeds of both species, however, are believed to be hypoallergenic; anecdotal reports claim that the Siberian, rex and sphynx cat breeds are less likely to provoke an allergic attack than most other cats. Similarly, dog breeds, such as poodles and schnauzers, have been reported to be less allergenic. None of these claims has been validated scientifically. coughing, wheezing, tightness in the chest, frequent bronchitis, and a shortness of breath. Odor. If the cat is an indoor cat, a litter box must have been used somewhere in the building, and they almost always produce an odor. Even after they are removed, the smell from a litter box may linger for quite some time. If a male cat was present in the building and he has urinated on or “marked” any areas, the odor will be very strong. Look for hair. Pet hair may accumulate in hard-to-clean areas such as under refrigerators, adjacent to clothes washers/dryers, or under couches. Use a blacklight to check for pet urine. Obtain a thorough, professional duct cleaning. Commercially steam-clean, professionally dry-clean, or use very hot water to launder clothing. Wash and use a HEPA vacuum for interior surfaces. Note that ordinary vacuum cleaners, which cause allergenic particles to become airborne, are ineffective and may even worsen the problem for sensitive occupants. Have the air sampled and evaluated by a lab to identify all particulates in the air, including pet dander. Let us know as soon as possible if you would like to add air sampling to your inspection and we will set it up. It does add a little more time to the inspection, so we need to plan accordingly.